Sarcoidosis is a chronic, idiopathic, granulomatous disease with a strong predilection for African American and Puerto Rican women in their third or fourth decades of life. Patients most often present with pulmonary symptoms, including shortness of breath, hemoptysis, nonproductive cough, and dyspnea on exertion; however, the spectrum of patient presentation can range from asymptomatic to involvement of any organ system. When neurologic involvement is present, the term neurosarcoidosis has been used. of patients. Any case of bilateral facial paralysis deserves consideration of sarcoidosis as a possible etiology (77). The association of uveitis, parotid gland enlargement, facial paralysis, and fever was first identified by Heerfordt in 1909 and bears his name to this day as Heerfordt's syndrome. Facial nerve involvement was thought to be from direct involvement of facial nerve branches within the parotid gland (78). Recent evidence, however, implicates a more proximal involvement. Serial examinations of the facial nerve and electrical stimulation at different sites along the entire motor path have suggested that the involvement is characterized by a demyelination process that starts in the cerebellopontine angle and spreads distally into the facial nerve canal (79). 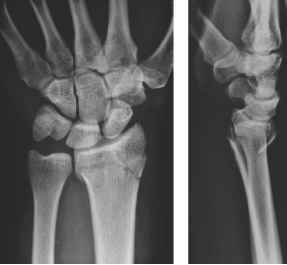 The mechanism of injury may be toxic factors, direct invasion by granulomas, or a disturbance in calcium metabolism. Pathologic studies reveal inflammatory changes with the nerve fibers uninjured, suggesting the injury may be to the vasa nervorium (76). Sarcoidosis remains a diagnosis of exclusion. The Kveim-Siltzbach skin test involves injection of antigen extracted from the spleens of sarcoid patients. The injected area is then biopsied four to eight weeks later, with a positive test demonstrating a nodule with the characteristic histopathologic findings seen in the disorder: a noncaseating granuloma with Schaumann's bodies (laminated concretions composed of calcium and proteins). Asteroid bodies can also be found and are stellate inclusions enclosed within giant cells and centrospheres. Serologic evaluation reveals elevation of many nonspecific markers: elevated ESR (83%), angiotensin converting enzyme (ACE) (73%), liver function tests (LFTs) (65%), EBV (80%), gammaglobulinemia (66%), anergic skin testing (85%), hypercalcemia (5%), or hypercalciuria (25%). Bilateral hilar adenopathy demonstrated on chest X-ray (CXR) is the typical and most common radiologic finding. Treatment of the systemic disease depends largely on the patient's symptoms. Patients demonstrating spontaneous remission require no further treatment. Immunosuppressive therapy is reserved for cardiac, neurologic, hypercalcemia, or more severe sequelae. Typical treatment of severe sequelae consists of high-dose systemic corticosteroids and topical corticosteroids for nasal disease. Treatment of facial paralysis is with immunosuppressive therapy. Over 80% of patients respond to corticosteroid therapy with complete recovery of facial nerve function (77). Recurrent paralysis is rare. Some authors have recommended facial nerve decompression if facial nerve recovery does not occur, but reports are only anecdotal and no consensus on indications or timing is currently available (80). Please refer to Chapter 6 for further discussion of sarcoidosis.